A fascinating essay by Nadia Hijab, Alaa Tartir, and Jeremy Wildeman, published last week in Foreign Policy, a prestigious journal based in Washington DC. The U.S. State Department recently warned (again) that any move by the Palestine Liberation Organization to enhance the organization’s status at the United Nations would, among other things, put United States aid to the Palestinian Authority (PA) at risk. That day may not be far off. PA President Mahmoud Abbas plans to ask the UN General Assembly to upgrade Palestine to non-member state status later this month. But would a U.S. aid cutoff really be such a bad thing? More voices are questioning international aid to the Palestinians living under Israeli occupation, with some even calling for a full boycott of the aid industry. Palestinians do need international assistance. However, after decades of failure in assistance programs, it is well past time to devise an alternative aid agenda that goes beyond just helping Palestinians cope with occupation while Israel pulls their land out from under them. An alternative model that makes aid effective must challenge the status quo and support the quest for freedom, rights, and self-determination. Before discussing how, it is worth briefly revisiting the problems with international aid. They are best illustrated by the World Bank’s latest growth report for the Occupied Palestinian Territories (OPTs). The report offers a negative prognosis of the Palestinian economy and, unsurprisingly, it concludes that growth based on foreign aid is unsustainable. Conventional economic theories are applied to the OPTs and, as a result, some policy recommendations are dangerously unrealistic. The growth report actually called on the Palestinians to emulate the Asian tigers by “adopting an outward orientation and integrating into world supply chains” and said the PA should strive for a business environment “that is among the best in the world.” Just how an “authority” that exercises no control over its own land, borders, and natural resources can carry out such export-based private sector growth is not explained. The growth report repeats the dangerous belief that the OPTs’ economy can benefit from deeper integration with the Israeli economy. The fact is Israel has made sure that such “integration” has been one-sided, allowing it to exploit a captive Palestinian market with international aid paying for the large trade deficit with Israel. An alternative aid model would focus donors on ways to counter dispossession, keep Palestinians on their land, and challenge Israel’s occupation policies and practices without forfeiting the ability to function in the OPTs. 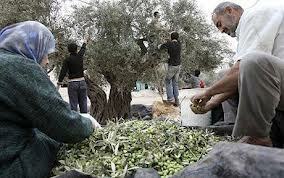 Here are three things donors can consider: promoting self-reliance in basic foods and reversing the decline of the agricultural sector; supporting cooperatives and local economic enterprises; and assisting sectors such as information technology that could break through the barriers Israel has erected around the Palestinian economy. Most importantly, they should do no harm. None of this is impossible. During the first Intifada, and despite Israeli counter-measures, Palestinians in the OPTs reduced their economic dependence on Israel by promoting local consumption and generating local employment. The situation is much more complex today given the far greater fragmentation of the territories and illegal Israeli settlement building. Nevertheless, there is still much that can be done. The first step must be to reverse the decline in the agricultural sector: Its contribution to GDP fell from around 13.3 percent in 1994 to 5.2 percent in 2010. This was largely due to Israeli colonization practices, particularly in Area C, which constitutes some 62 percent of the West Bank and includes its best land and water resources. However, it is also due to PA and donor neglect that left the sector seriously under-resourced. No more than 1 percent of the total annual budget has been allocated to agriculture sector since the PA was formed (around 85 percent of which goes to staff salaries), and agriculture dropped to around 0.74 percent of international total aid by 2006. Moreover, the sector was steered from key staples to cash crops for export such as flowers, even though Israel controlled access to and from the OPTs thus reducing self-reliance. Instead, policies should support low-intensity agriculture, using targeted subsidies to enable farmers to stay on their land and reinforce its productivity, which can also help create jobs. The food produced should be directed primarily to local markets, reducing dependency on food aid and Israeli imports. Integrated agricultural units can be supported, as Palestinian environment expert George Kurzom suggests. For example, herbs can serve as fodder in winter, trees can provide food as well as animal feed and fuel, with tools and machinery maintained by local mechanics. Other possibilities include urban agriculture, aquaponics, and “vertical gardens” that have been piloted among Palestinian refugees in camps in Lebanon and in the OPTs. Recent youth initiatives to support farmers in their lands and encourage volunteerism, such as Fariq Saned, are inspiring examples. PA departments can assist by providing access to finance, technical assistance, and institutional memory, among other support. Secondly, it is important to promote cooperatives and local economic enterprises. Cooperatives have also been neglected in the OPTs despite their economic potential in agribusiness, small industry, and crafts production. Cooperatives can help break barriers, overcome geographic isolation, and expand markets — and build social solidarity and self-reliance. [MR: A spectacular example is the Palestine Fair Trade Association, which provides olive oil and other Palestinian food products to Zatoun, a grassroots fair trade organization in Canada, and counterparts in other countries. The PFTA and Zatoun are both featured in Our Way to Fight]. Rather, investment should be made in building the capacity of both the government’s cooperative department and existing cooperative associations on sound governance, enterprise development, and cooperation principles. Recent investment in the capacity of women-majority Union of Cooperative Associations for Savings and Credit in the OPTs provide useful lessons. Indeed, women’s economic activity can be targeted through cooperatives since most women already work in family-based agriculture and in food and handicrafts micro-enterprises. There is in addition a need to identify new niche markets, especially in services, so as to increase both the scope and diversity of women’s work. Another avenue for donor assistance to the OPTs is to develop sustainable local enterprise networks (SLENs) that promote local market-based approaches. Samer Abdelnour has documented experiences in the Sudan as well as in Lebanon and in the OPTs. Efforts in the OPTs that could be developed among these lines include community permaculture projects in Nablus and Beit Sahour, and the fair trade initiatives Zatoun, Zaytoun and Canaan Fair Trade that reach international markets. Other interventions could include rooftop farming, small-scale health franchises, and certified midwives. A third promising area for investment is the Palestinian Information Technology (IT) sector, which may be relatively impervious to strict Israeli limitations on Palestinians’ freedom of movement. Investment in the sector during the aid induced upswing of 2008 to 2010 buoyed hopes. Since 2009, $78 million has been invested while IT grew from 0.8 percent to 5 percent of Palestinian GDP from 2008 to 2010 — albeit on modest revenue of $6 million. Still, for the Palestinian economy this is a rare growth area dependent less on foreign aid than it is on private sector investment. However, even the IT sector is held hostage to the occupation. For example, Israel impeded the upgrade of Palestinian communications hardware necessary for an IT sector to flourish and does not provide frequencies for 3G services putting them at a great competitive disadvantage. Moreover, there is the danger that Israeli companies will reap the lion’s share of the rewards, reinforcing unjust hierarchies of control that make growth impossible under occupation. A warning sign is that Israel itself is soliciting European donors for this sector. Finally, there is the crucial issue of doing no harm. Some of the same donors who fund Palestinian development also fund PA security collaboration with Israel and projects aimed at “normalizing” the occupation. They are now being challenged by the youth movement as well as by the Boycott, Divestment and Sanctions (BDS) movement. Some voices are calling on Palestinians to decline aid from nations that directly support Israeli military activities. An alternative aid agenda would need political protection by donor agencies and their governments because it would pose a direct challenge to Israel’s colonial enterprise. Further, an alternative model encompassing the kinds of policies and programs described above would have to be linked to a political process that secures Palestinian rights under international law. Otherwise donors are simply soothing the pain while Israel continues to colonize and dispossess the Palestinian people.